We absolutely loved Joe from the very first meeting we had with him! We only interviewed one DJ, Joe, and we knew he was our guy! Throughout the entire wedding planning process, Joe quickly responded to emails and answered any questions we had. He was very personable and had our guests on the dance floor the entire night! He went off the vibes of the dance floor and played the best party music! I had a blast leading the train when he played Quad City's DJ's-C'mon N Ride It! Joe was very flexible with our requests. At the last minute, we asked him to take out the garter/bouquet toss so we could have more time on the dance floor and he followed through with the request. Our friends and family absolutely loved the photo booth and we love the memory book we received! Kool Kat Entertainment provided the ceremony music, uplighting, DJ, and photo booth and all of it was fabulous and well done! Thank you so much for making our November 4th wedding a dream! Thank you It was my pleasure, I had just as much fun as you and your guests had, It was such an honor to be there for you guys and we really appreciate the review. Joe did my wedding back in December and he did a wonderful job! The uplighting was perfect and he did a great job keeping everyone on there feet. All my guest were telling me how great he was. I couldn't have picked a better dj. He even came when he wasn't feeling well and still made my day perfect! I would recommend joe to anyone I know who is getting married. He is helpful, easy going and very professional. Thank you so much for your kind words, your wedding was a spectacular affair, I enjoyed every moment with you guys. Best of luck with your future endeavors. Planning a wedding can be extremely overwhelming to a new bride & groom but Kool Kat Entertainment did an exceptional job in putting all of our fears at ease. They were extremely attentive and helped answered all of our many questions prior to our big day. They are very reasonably priced for all that they offer and definitely brought the party to our reception. I highly recommend them for any event. They were amazing! 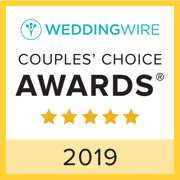 Thank you so much for the review, It was great to be a part of such a special union, I would love to be a part of your next celebration as well so until next time. Stay awesome guys! Best wedding DJ. Excellent value and customer service. We went with Koolkat based on a friends recommendation. We were not disappointed in any way. He exceeded our expectations. He understood what kind of music we wanted to hear for each part of the evening. He even had people on the dance floor during the cocktail hour. He worked to accommodate our traditional Indian ceremony. He even went as far as downloading and bringing all of the Indian music we requested which was not an easy find. Even our guests were thrilled as he accommodated their requests. After the event we got tons of questions and comments about how great the DJ was. There is no question, the next time we have an event we will be using Koolkat Entertainment! 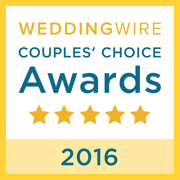 Omg, what an honor it was to be a part of such a beautiful union, thank you for everything including the review!! Thank you so much, I loved being a part of the festivities!! It was a pleasure for us. I would love to work with you again, it was a blast. Thank you Amy you guys were a blast to work with, wishing you all the best in the future, I look forward to working with you guys again in the future for another celebration! Joe was amazing. He was very professional, and kept the wedding reception very lively. His selection of music kept everyone dancing on the dance floor all night. Dance the night away….. At least that’s what my husband and I did the entire night of our wedding. I feel like it is hard to pick a DJ because they are the driving force behind the party of a wedding and we did great! Joe was such a pleasure to work with, he set up up lighting, a projector for our slideshow and played jams that we had picked out. He was a wonderful addition to our wedding and kept the party moving, he made himself available whenever I had any questions and even created memorable moments at the wedding by handing me and my mom a mic at the end to jam out to “Don’t stop believing”. Joe provided excellent professional DJ services for our wedding. All our guests had a wonderful time with Joe leading all our music and reception flow. I would highly recommend Kook Kat Dj for all occasions. Job well done..... Thank you Joe! You guys were a blast, thank you for the review, I was right there with everyone having a great time!! Joe was amazing and picked our favorite songs along with songs that got everyone moving on the dance floor. He helped the evening run smoothly! Thank you so much, it was a blessing to be a part of such a wonderful celebration. Have a great 2019. Our DJ was amazing , not only he played great music he also entertained the crowd. He gave us a lot of great ideas for music, and created an amazing playlist. Every time we texted he got back to us immediately. We Had the best wedding ever! Joe was our hero tonight. We had a backyard wedding and he was wonderful! He was able to pull all of our songs and everything was flawless. Thank you so much, everything was beautiful from beginning to end, I was honored to be a part of your special day. 5 stars? More like 10. Joe was awesome. He did our Wedding October 13th. We had a very rough timeline of events that kept changing and Joe had no problem changing things up, suggesting different timing/ordering of events during the reception and even stayed a little bit later than originally scheduled. Can't say enough good things. Thanks man! Thank you. So much for the stellar review, you guys were a blast, I'm sure we will have another celebration real soon. Congrats again. Everyone had such a wonderful time at our wedding and joe was very patient when it was time to cut the cake but me as my friends were having a great time belting “always be my baby” ha! Thank you! Joe is hands down the best DJ you could ever hire for any event! We hired Joe for our wedding and he did an excellent job. He was very professional throughout the whole process and lessened the stress that comes with planning a wedding. We can’t thank you enough Joe! Joe was absolutely amazing! L would highly recommend his services, he was very professional threw out the entire process. We would definitely recommended him in the future! Mr Vega was a top notch DJ , he did everything we requested with a happy heart! He ran our wedding so smoothly , it was wonderful to have a pro like Joe Vega! Thank you so much, it was an amazing event from beginning to end, I was honored to be a part of it. We had a great experience. Joe explained everything for us and did a great job playing songs that got my guests up and moving! Thank you so much for the wonderful review, I was blessed to be a part of your special day, happy holidays to you and yours. Joe was outstanding from the moment we considered him for our wedding. Prior to the wedding, the planning and communication was great. We had met with him upon his request a month or two before the date to put the final details in place and to actually get ideas of what kind of people we were so he could give us the best possible experience for our reception, and he delivered. He was alway available during the planning stages. Very well priced, and his abilities speak to his profession. Joe and his team helped make our day "perfect". We have had several guests comment on how great the DJ and music was. The Photo Booth was also a big hit! Joe kept the reception moving along, making last minute changes and was flexible throughout. The uplighting was beautiful as well and definitely worth it. Thank you Jennifer & Greg the entire day was fabulous I was honored to be a part of your special day!!! I can't wait to work with you guys for future events. I cannot overstate how great it was having Joe DJ our wedding! The guy is very nice and very accommodating. He listened to what we wanted, wrote it down, and knew all the information before the day. He didn’t bug us or ask for anything that wasn’t in the contract, and he even added in extra things we asked for at the last minute. His wife worked the photo booth and she made sure that my (now)wife and I got multiple pictures. She was very friendly and outgoing, it seemed like she was so happy that everyone was excited about the photo booth! Also, she put together a seriously nice, high quality book of ALL the photo booth pictures from the night! It was amazing! Kool Kat Entertainment is so good at their jobs that we didn’t notice they were there, in a good way. We didn’t need to request any songs, the flow of music was excellent and didn’t change rapidly from fast to slow or visa versa, and they kept everything positive and the party going well into the night! 5 our 5, would recommend to ANYONE looking for a perfect, fun DJ, photo booth, and lighting! So awesome! Thank you so much, we are overwhelmed by the review. we had just as much fun as you guys did and It was an honor to be a part of your special day! Joe was an absolutely pleasure to work with, he NAILED it when it came down to the day of the wedding, everyone kept telling us how great the DJ was. We highly recommend him to anyone and everyone!. Thank you Joe, we couldn't have had a better time you were amazing! Thank you so much, you guys were a pleasure to work with. It was truly an honor to be a part of your special day. We were extremely happy with his services. He was prepared, on time and professional. He did a great job at keeping everyone entertained and dancing. It was a perfect evening! Thank you! Having the photobooth from Kool Kat Entertainment was easily one of the BEST decisions we made for our wedding, our guests loved it, it was a huge hit! Everyone loved being able to take some extra fun photos home with them. Every detail was done to perfection and you can just tell they really care about their customers. We could not be happier! Thank you for the amazing addition to our wedding! We had DJ Joe at our wedding and he was above and beyond what I expected. I wanted to give the DJ the key times and such and then not have to worry about the rest, he was perfect with that. He took great requests and fed off the energy of the crowd. The dance floor was never empty. I would highly recommend using this service. I was a little hesitant with the fact you don't meet your DJ before the big day but it worked out great and I wouldn't have changed a thing. He was amazing the entire night. Thank you for making all our dreams come true. Joe was a pleasure to work with! Professional, responsive to any questions and made great suggestions. Planning a wedding is not easy, theres a lot to do and Joe made sure to let me know up front about everything he needed from us on the music portion to make it a fun night, we made a lot of requests and everyone of them was fullfilled. We had a blast and I knew up front that it would be a success. If you are looking to have a great time at your wedding or event I would highly recommend Kool Kat entertainment! Thank you so much for all your kind words, It was our pleasure to be a part of your special day!